magicx app is new app in market offfering free recharge 20rs on signup and 10rs per refer.magic x app has something new called Artificial Intelligence powered Chat .you can send instructions to app through the chat but the awesome feature is appicable with paytm aslo.you can pay the balance amount with paytm also.magicx app gives you discount as well as cashback in paytm .but minimun to avail dicounts and cashback is 50 rs recharge or bill payments.magicx app offers services like Ordering groceries, paying phone and other utility bills, recharging your prepaid number, booking events. 5.Enter Mobile number (if you want to recharge other no). 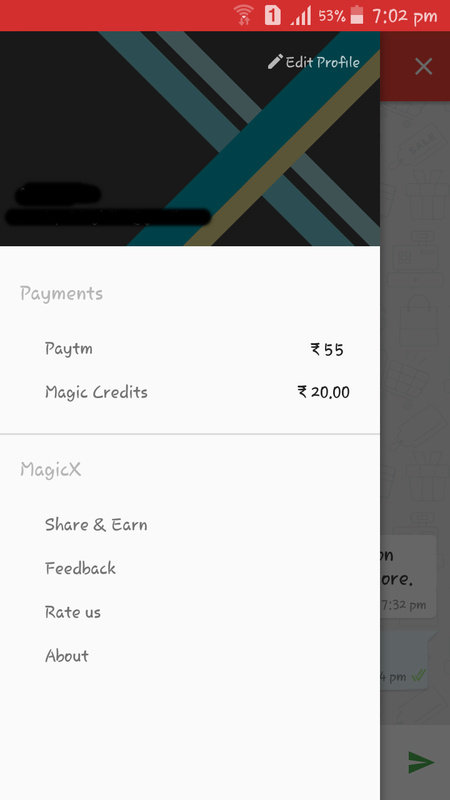 8.Your Rs 50 Recharge get done instantly.  Personal assistance with grocery shopping. 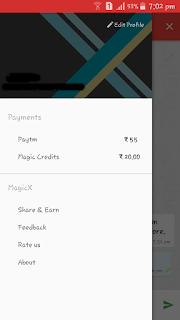  Recharge your phones, pay postpaid bills.  Pay utility bills like electricity, DTH, landline, gas and insurance. 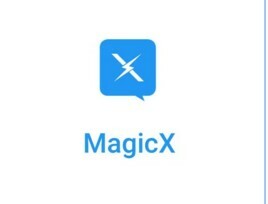  Order prescription medicines with Zigy and MagicX. Delivered at your doorstep!